Few in Sierra Leone would ever have imagined that in this, the nation’s moment of terror and grief, waged by a deadly virus that is ravaging their lives, those occupying the seat of power will today publicly announce that the Ebola affliction is God’s punishment for their sins. So far, more than 500 people have been killed by Ebola. 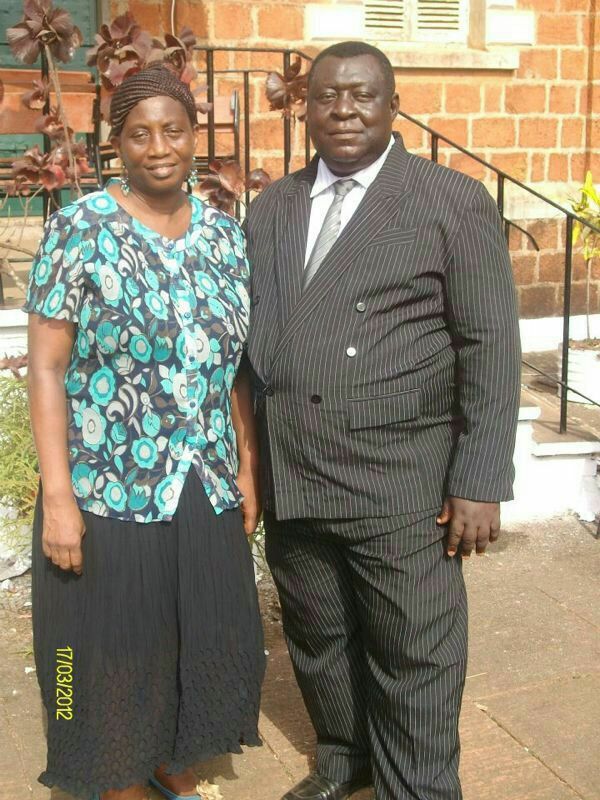 What sins have the people of Sierra Leone committed, for God to punish them in this way? Few months ago, at the beginning of the Ebola incursion into Sierra Leone from neighbouring Guinea, the former minister of health blamed Ebola victims for bringing the virus unto themselves; the minister of information and others in the government had denounced those making public the number of people dying of Ebola as heretics. 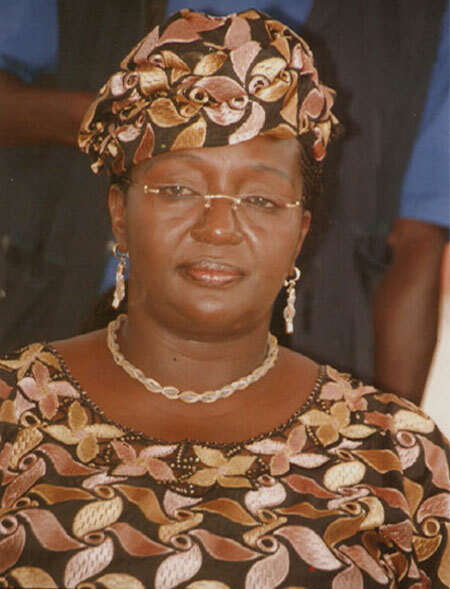 Today, in a speech to the nation, preparing the people for the three day lockdown which starts on Friday, the wife of the president – madam Sia Koroma (Photo), called upon the people to pray and beg God to forgive their sins, so that the Ebola pestilence can be lifted. This speech is crass and unfortunate, and it comes on the very day scientists at Oxford University are running trials on volunteers for a vaccine that could eradicate the transmission of Ebola. Was the first lady referring to the sins of those at State House? Ebola is not a plague from God. Ebola is a virus, which although far more deadly than Lassa fever, and other viral haemorrhagic fevers, has been in Africa for a very long time. 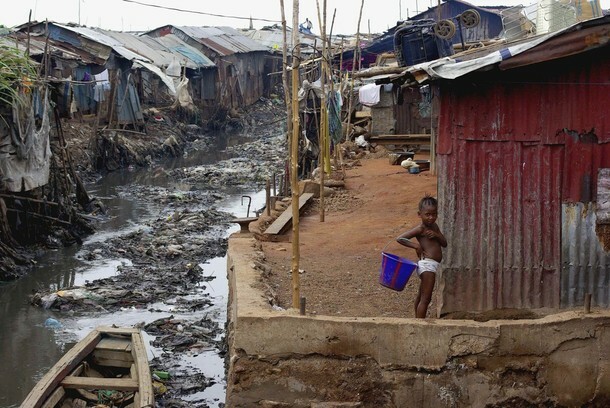 In the last three years, thousands of people in Sierra Leone have died of cholera and other gastrointestinal diseases, largely because of poor sanitation and lack of safe, clean drinking water, which the government of president Koroma had promised to make available in 2007. Ebola arrived in Sierra Leone from neighbouring Guinea, and was allowed to spread across the country by a government that has failed to take its responsibility to those it governs seriously. If the president had closed the borders of Sierra Leone when the virus was detected in Guinea, perhaps the story for Sierra Leone may have been different today. If president Koroma had prioritised the nation’s health care systems since 2007, rather than spending over $500 million on grandiose infrastructure projects, today Sierra Leone would have succeeded in combating Ebola. If president Koroma had not granted over $250 million of duty waivers and tax concessions to foreign companies annually, Ebola would not have become the scourge that it is today. Millions of dollars stolen from the government’s coffers by corrupt ministers and officials since 2007, could have gone a long way to providing safe, clean drinking water, as well as establish waste management systems across the country – promoting good standard of sanitation and public health. So, the people of Sierra Leone need no platitudes and condescending call to prayer from those at State House, who are now telling them that they have Ebola because of their sins against God. What is indeed shameful and sinful is to squander money that belongs to the people, which should have been used to promote and protect their welfare, and then turn around to blame them for their early deaths. Turning the poisonous venom on the international health agencies that have come to the rescue of the people of Sierra Leone is not very clever either. Since the death of Dr. Buck (Photo: Left) – caused by the negligence, intransigence and depravity of those elected by the people, WHO and MSF have come under fierce attack. 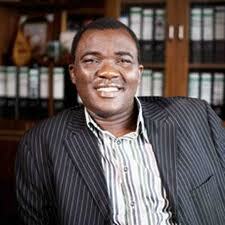 They are being accused by State House, of failing to evacuate the doctor out of the country for treatment. What is also sinful is the fact that those in authority who are sitting on millions of dollars donated and remitted to Sierra Leone, are failing to protect the lives of doctors, nurses and other health workers, who put their lives at risk to save others. Is the first lady referring to the sins of those at State House? The latest Ebola statistics in Sierra Leone makes for very grim reading, and will get worse. Over 1,500 people have contracted the virus; and more than 500 dead. “The Emergency Operations Center (EOC) wishes to inform the general public that due to the contagious and infectious nature of the Ebola Virus Disease (EVD), it is a policy that burial teams, surveillance officers and contact tracers do not work beyond 6P.M, for their safety. The public is therefore informed that all calls made to the EOC after 6 P.M concerning corpses, suspected and probable cases in communities will be attended to by the respective teams the next day. “We regret to announce the death of Dr. Olivet Buck. Dr. Buck was the Medical Superintendent attached to the Lumley Government hospital in Western Urban Freetown. She is the fourth doctor we have lost in the line of duty to the Ebola Viral Disease (EVD). Like any dedicated doctor to the profession and like any mother, Dr. Buck treated a little boy in the Lumley government hospital who turned out to be Ebola positive from whom she contracted the disease. “Like late Dr. Khan, the Government of Sierra Leone did everything possible including a plan to evacuate Dr. Buck to Germany to save the life of this heroine. That plan was hinged upon international bureaucracy and procedures beyond our control. In both cases, we have observed a sluggish willingness by WHO in facilitating medical evacuation of Sierra Leonean Ebola infected doctors for advance treatment abroad. We lost both Dr Khan and Dr. Buck hung in negotiations. “On the preparedness for the three days ‘ose-to-ose Ebola talk’, the Emergency Operations Centre (EOC) in collaboration with its partners has completed the training of the national supervisors for the three days. Training of the district supervisors has commenced and will be completed today. Cascading training of national and district supervisors to the bulk of the 21,000 volunteers will start on Tuesday at local levels. “Government has projected a 15-20 per cent surge in the EVD suspected cases from communities across the country during the ‘ose-to-ose Ebola talk’. In response, the EOC has expanded the number of holding centres and trained more staff to man them as well as increased logistical support at districts level to enable local authorities to adequately respond to the anticipated spike in EVD suspected cases. “There is an increased level of compliance with Government policy to report all cases of deaths for certification before burial thus the increased demand on the burial teams to respond to dead bodies. In response, Government has increased the number of burial teams in Freetown to nine from four. “The burial team coordinator has trained 26 dispatch riders to respond and collect samples from bodies for same-day testing and provided eighteen burial vehicles to the Western Area teams, where the demand for burial is most prevalent. Separate numbers [+23279557733 and +23299671521] have been created specifically to respond to burial calls. The numbers of burial teams have been increased across the country to meet nationwide burial demands. “In response to the overall anticipated increase in suspected cases after the ‘ose-to-ose Ebola talk’ exercise, Government has brokered bilateral cooperation with the Chinese, the Russians and the Cubans who would be manning holding and treatment centres across the country. “Government also wishes to inform the public that the Aljazeera article by Ashley Hamer publish on the 13th of September, 2014 that “Ebola support staff are supposed to be paid 500.000SLL ($110) per week but have been working for free in Kenema for the past two weeks” is a blatant lie and an unfounded assertion to foster sensation and yellow journalism. “The nurses are paid their normal salaries; we concede delay in timely payment of incentives because of bureaucracy and tardiness by some Ministry staff members who are responsible to prepare payment vouchers. Funds have been disbursed for the payments of all incentives. We take great exception to the statement that the nurses are “working for free”. It is far – fetched and is not helping the already gloomy situation here in Sierra Leone.